She also has a Facebook page and Twitter account. 1. How long has it been since your diagnosis? 25 years ago, age 31, I was married 12 years and my children at the time were 11, 9, 7, 2. 2. What led you to advocate for mental health? Because I want to help fight the amount of stigma involved with mental illnesses. My experiences as a mental health patient made me realize there needed to be more support for myself and others with mental illness. 3. How do you advocate for mental health awareness? I am a peer recovery advocate at the PEACE Zone peer-run recovery center helping others in the community with mental illness. It’s a safe haven to offer support for hope and recovery. 4. What mental health organizations are you involved with that support advocacy? NAMI, as a presenter for its Family to Family Program, and I was recently awarded the Mental Health America of Indiana 2014 Consumer Advocate Award. 5. Who do you advocate personally in day-to-day life? I share my story of hope and recovery at local hospitals with the PEACE Zone outreach program. 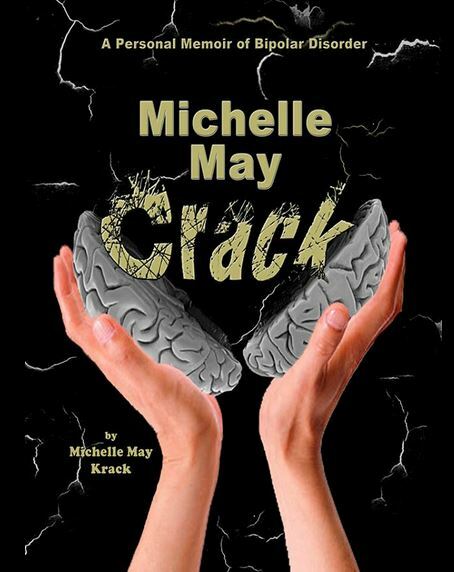 I have written a book, “Michelle May Crack”, a story that shares advocacy along with life struggles with mental illness and offers hope for recovery. This entry was posted in Uncategorized and tagged advocate, author, bipolar disorder, book, mental health, Michelle May Crack. Bookmark the permalink.